Tributes poured in for iconic goalkeeper Gianluigi Buffon as the Italy captain retired from international football after their catastrophic loss to Sweden in the 2018 World Cup qualification play-off here on Monday. 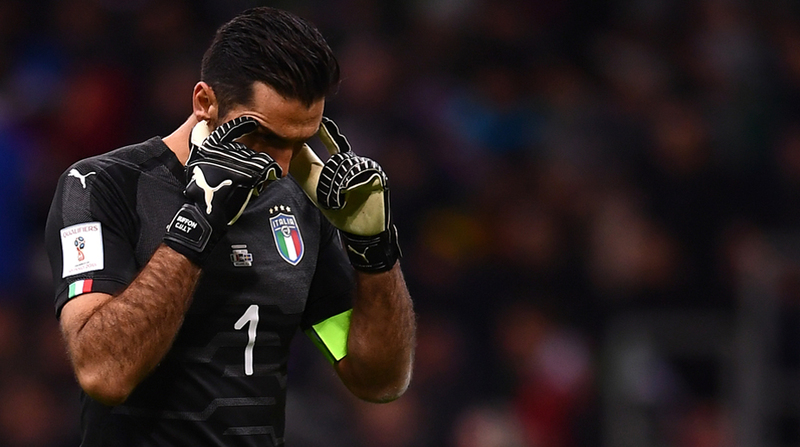 Buffon, playing in his 175th international — a record for a European, tearfully ended his international journey as four-time world champions Italy fell 0-1 in aggregate to Sweden, failing to qualify for a World Cup after 60 years. Having made his debut in 1997, Buffon, widely praised for his sporting spirit, leadership and goalkeeping excellence, won the World Cup in 2006 and captained Italy to a runners-up finish in Euro 2012. The 39-year-old Juventus captain wanted to end his career in 2018 football showpiece in Russia which would have made him the first footballer to play in six World Cups, but Italy lost to Sweden 0-1 in Stockholm and were held goalless in the second leg at the San Siro Stadium here. Several current and former footballers, apart from fans of Buffon, took to social media to express their respect for the Italian captain. Former England star striker Gary Lineker said Buffon “will be much missed”. “A mountain of a man. A Giant of a goalkeeper. A credit to his sport,” he wrote. Buffon captained the Italian national team 79 times — joint highest with Fabio Cannavaro.